There are several accesories for the TK-981 that Kenwood manufactured and also several neat accessories that outside companies have manufactured. There are a few more items that were made for the TK-981 but I wanted to make mention of the most popular and common ones. See the Kenwood TK-981 Brochures in the "Download" section for further details. IDA Corporation sells the QM1-KW80 which is a Remote kit for the 80 series Kenwood's (TK-981). This kit will allow you to mount the control head separately from the RF body at a distance of 15FT! The kit consists of 2 front panels, one for the body of the radio and one for the front panel. The kit also comes with control head mounting bracket, 15FT DB-37 Cable, and 2 ribbon cables for attaching the front panels to the control head/main body of the radio. This kit is no longer manufactured and can only be found via the used market. IDA Corp discontinued the kit sometime around September of 2011. Kenwood sells the KES-3 which is a small 4-Ohm external speaker that plugs right in the back of the TK-981 and also fits the TK-941. The Kenwood KAP-1 is an internal relay board that is used for triggering a horn alert or public address relay. The wired connectors on the KAP-1 plug directly into CN3 and CN5 of the TK-981 main board. The KAP-1 will then require the use of a Kenwood KCT-19 cable to interface it to a P.A. or horn alert. 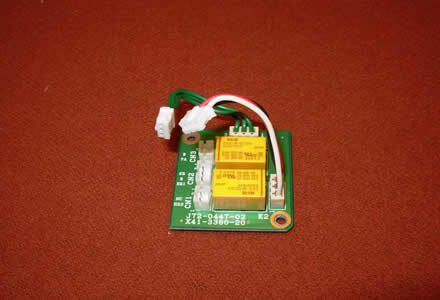 Depending on how the KAP-1 is used, the main board of your TK-981 may need to have a few SMD jumpers removed. Kenwood manufactures a cable that fits inside the TK-981 and TK-941 that brings all internal needed connections external of the radio such as PTT, Audio Out, Mic, etc... If you would prefer to build your own KCT-19 cables see the TK-981 "Tips and Modifications" section for all needed part numbers. The KMB-20 is a desktop mount that encloses the TK-981. The KMB-20 allows the radio and a small switching power supply to be mounted together. The KMB-20 will accept the Kenwood KPS-14 or KPS-15 power supplies.